Posted: Fri Dec 21, 2018 11:31 am Post subject: Classic Minis - love 'em or hate 'em? Where do we all stand on the merits, or otherwise, of the original Mini? Have you owned or driven one? What do you think about them? For years the Clubman version was looked at as the poor relation in the Mini world, but has that now changed? My most recent "close encounter" with a Mini involved trying to pry the keys from a gent who had a 1960's car parked in a semi-covered lean-to earlier this year. Alas my repeated efforts to buy what could be a great little car have so far come to nought, but I cling to the hope that one day the purchase may actually happen. The location has now been cleared (the car had been parked there, yes surrounded by straw in true barn-find spirit, since about 1980), however I'm assured that the car is now safely hidden away at another location. I'll try phoning him again next year .. I also put switch extension sleeves on them to save having to lean forward to get at the central switch panel. The BMC distributor damp protection was ineffectual so we always used the rubber glove solution. Locked my keys in one of the sliding window ones, but because the bonnet catch is outside I was able to access the dip stick which is ideal for sliding between the 2 parts of the window to depress the catch and allow the window to slide. One company I worked for did cloutch changes at about 60-70,000 mls but the other one had one car do about 120,000 on one clutch but it had started juddering at around 100K. Had a later one during the 80's with the Metro mechanicals but that clutch only lasted about 40K. Interesting, hadn't heard of that one before. I seem to recall locks being available for the sliding windows. I learnt to drive on mum's 1967 Mini estate. As well as window locks it also had chrome door opening levers on the inside, rather than the original pull strings. 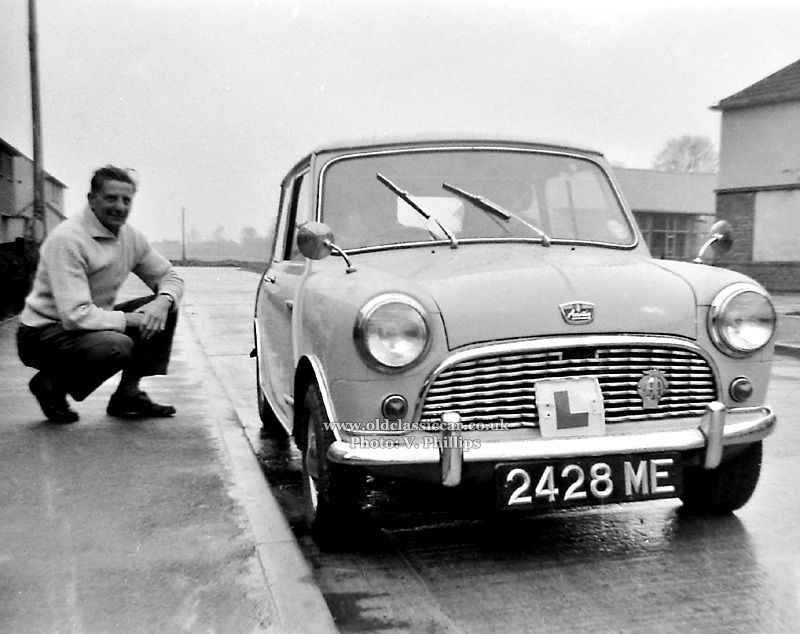 I was first driven in a Mini in the early 1960s by a gentleman who had been a racing motorcyclist and I was absolutely astonished by the cornering power. When I drove them I can't say I liked the driving position and the long vague gear lever. I never owned one but did own several 1100s. I hate them - well, you did ask! I've never owned one, and have no intention of doing so, but I have driven them on several occasions, and not enjoyed the experience each time. 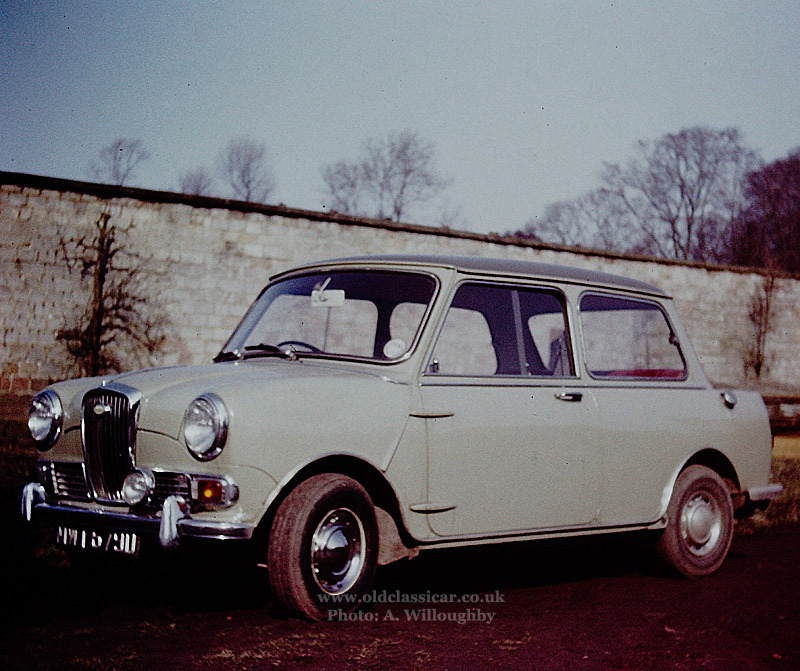 In complete contrast, I have owned two Hillman Imps (well,one was a Singer Chamois) and have enjoyed nearly every minute (they do require constant attention, which can get a bit tiresome). Why the Imp never caught on in the way the Mini did is something I shall never understand. Actually my first car was a hydrolastic Mini - bought it off a scrapyard. Only drove it on private land as it was without registration, so quickly sold it on. It still survives to this day - with false registration papers I know for sure! My wife had a Mini 1100 Special in the early 80s. Quite a nice car, I liked it specification (neat three clock dash behind the steering wheel, cloth seats). But I hated doing anything mechanical to it, and also its non-existent comfort. At that time, or should I say from then on I have always owned an Imp of some sort and found that was the better car in most ways. In 1999 I went to the BL dealer (or Rover as it was called then) to see if buying one of the last new Minis would be of interest. But I hated all the fuzz around these last Coopers, plus they were still quite expensive, so nothing came from it. 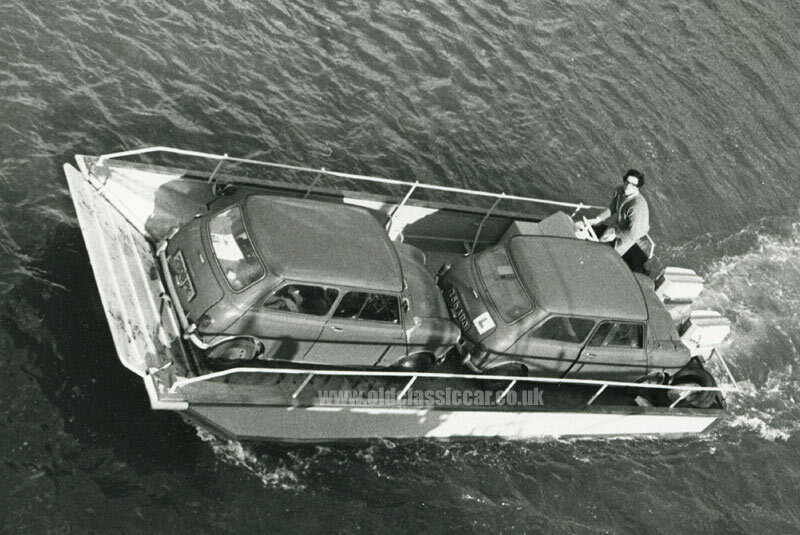 I would have loved to buy a new 2CV back in 1990 though. A Mini is great to drive once in a while but to use it everyday it is irritating. I do not think I will ever own one again. Love them had 3 in my youth, rust box's but a blast to drive, must have done just about every job on them. My father, brother, sister and brother in law all owned mini's during the 60's, I enjoyed driving them on the odd occasion but never had a desire to own one I preferred my VW beatle. In the 90's my eldest son persuaded me to by him a mini his college friend had for sale, it turned out to be a total money pit, it cost me over a thousand pounds in repairs the first year and covered almost as many miles on a tow rope behind my BX Citroen as it did under its own power. I eventually lost patience and bought him a 4 year old Vauxhall Nova which was passed onto his younger brother, who passed it to his mate who passed it to his father who had it for several years before it was written off in a minor accident 2002 after 14 years of trouble free motoring. A Mini is definitely not on my list of desirable cars. 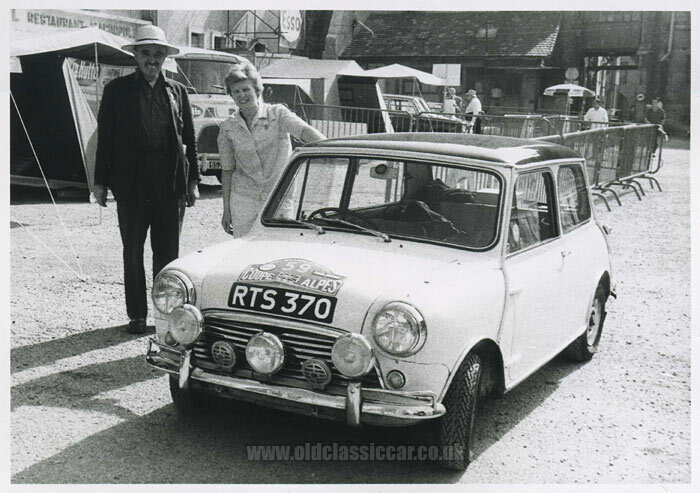 2nd was a T reg clubman with a 1275 engine fitted. 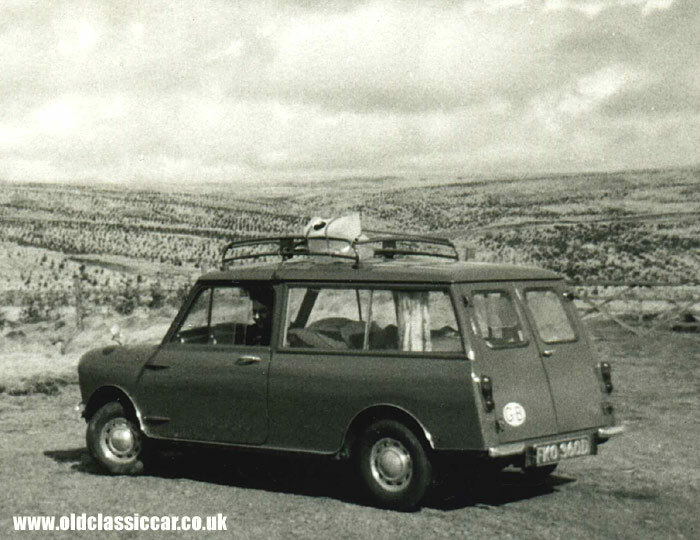 Probably my earliest memory of a Mini was in the late 1970s. We had a back garden that bordered with a narrow-ish and rarely-used footpath, that gently funnelled the further you went down it, before widening again. Gardens bordered the other side of the path too. One night there was a hullabaloo in the path. Someone in their wisdom, at the wheel of a stolen Mini, had decided to whizz down this path, hoping that they'd get all the way through it to a main road where they could continue on their way (whether the old bill were chasing or not at the time I don't know). Alas the driver wasn't aware that the path narrowed down, the end result being one Mini firmly wedged between two sets of fences, at the path's narrowest point. The occupant(s) punched out one of the screens and had fled by the time anyone got to the car. The front wheels had taken the brunt of the impact, both pointing out from the car at a very odd angle, which made pushing the stricken Min back up the path to freedom, a drawn-out affair. As a youthful observer, I found it all very exciting. well that will cater for the hairdressers sorry if that's not politically correct! A Mini can be driven and abused in such a way that most cars would be spinning on their roofs. 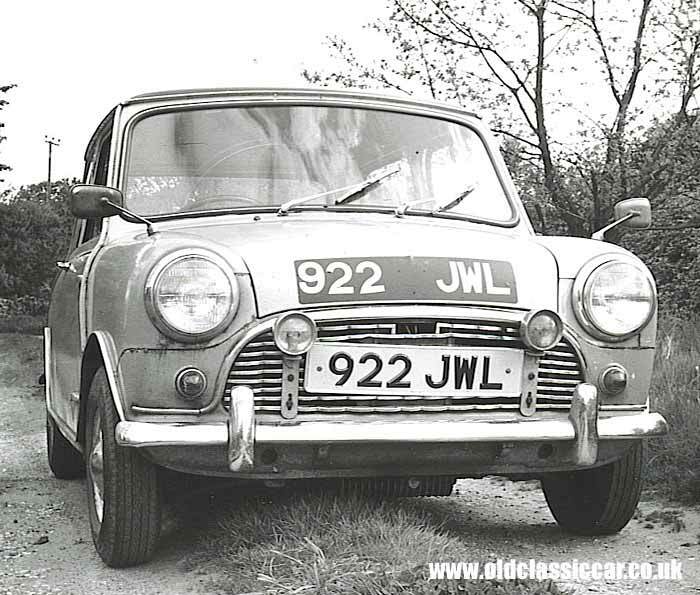 Because of this wonderful roadholding, I provided and restored four original Minis, one for each of my kids when they passed their driving tests. The deal was that they use them for at least six months with no passengers in the back, then they could trade them in on anything they wanted to buy. All four kids went along with this and I would do the same again. After six months they had gained some experience of driving safely and we felt that they could graduate into something more exciting. It seemed to work as our kids all remember their Minis with affection.